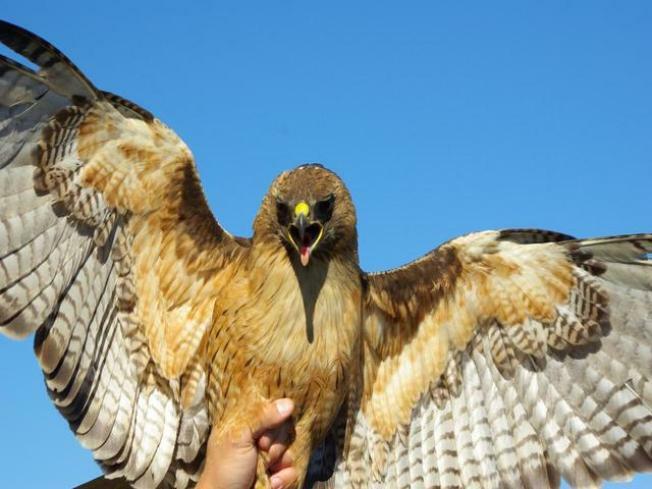 If you can't beat them -- well, move them -- that's what animal control officers decided to do with an aggressive red-tailed hawk attacking residents in Stonington, according to The Day. Town workers with the help of Old Mystic firefighters and a ladder truck, removed and destroyed the nest. The animal control officers weren't taking any chances with this bold bird -- wearing riot helmets and thick gloves in case the hawk tried to attack, reports the Day. Firefighters had to cut down branches with a chainsaw so they could reach the nest located 30 feet above ground. The fire crews also cut down the branches supporting the nest so the hawk would not be tempted to build another one in the same spot. 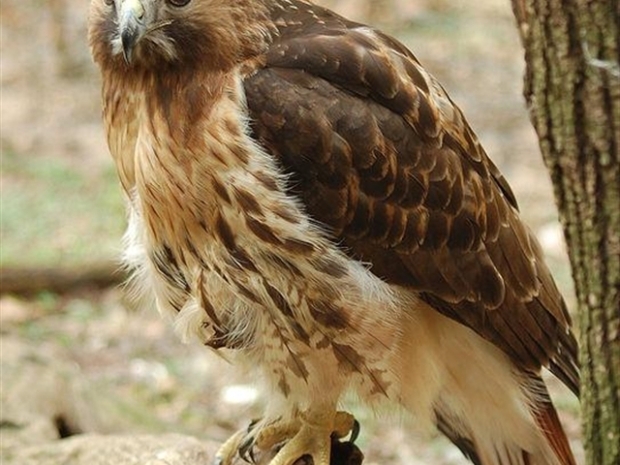 A Stonington neighborhood has been visited by to not-so friendly hawk. There were no eggs or chicks in the nest. Animal control officers hope the hawk will now nest farther away from the road and people, according to the Day. Last week, one of the attacks sent a woman to the hospital. Stonington police say the attacks have all happened in the area of Shawandasee Drive. All the victims, including children, were attacked while walking in the area. Last week's attack forced school officials to cancel outdoor recess at nearby Deans Mill School -- those activities resumed a few days later, reports the Day.